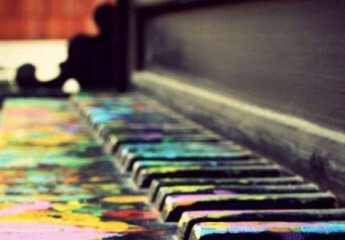 Learn to play the piano effortlessly! Imagine sitting down at the piano at a gathering of friends and entertaining them with popular standards. Whether it’s Beethoven’s Fur Elise or a Billy Joel sing-along, AllPiano will provide the mentoring and motivation for you to find your voice and learn to speak the language of music. Musical tips and advice have been passed from student to teacher for over a hundred years. Let me share my 45 years of piano experience (as both student and teacher) with you. No more dreaded weekly piano lessons! You’ve had piano lessons as a child…maybe you’ve even returned to the dreaded weekly piano lessons as an adult…but playing the piano is still a struggle. Now you can set your own schedule. First sign up here for a 3-day Jumpstart or a 7-day Intensive one-on-one session with your online piano instructor. AllPiano will contact you within 24 hours by email to discuss your specific program of study. You tell me what you want to accomplish through AllPiano. Using a combination of technologies — the AllPiano channel at YouTube, Skype, IM and e-mail — we will begin an intense dialog that will get you moving in the right direction again. Half the battle is sitting down on the bench. I’ll show you how to get the most from your limited time. Whether it means putting in fifteen minutes before bed at night or getting up a half-hour earlier in the morning, AllPiano will get you back on the bench and provide the tools to give your playing the jumpstart you need to finally see progress. This is not a “chord playing” piano course, or a learn to “play-by-ear- in- one-day course.” This class is for students who want to improve their piano playing using the skills that have been passed from teacher to student for over a hundred years. 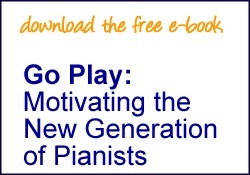 Click here to sign up for motivation and mentoring with AllPiano. Or email AllPiano@yahoo.com for information about how you can tailor your mentoring program to fit your schedule.